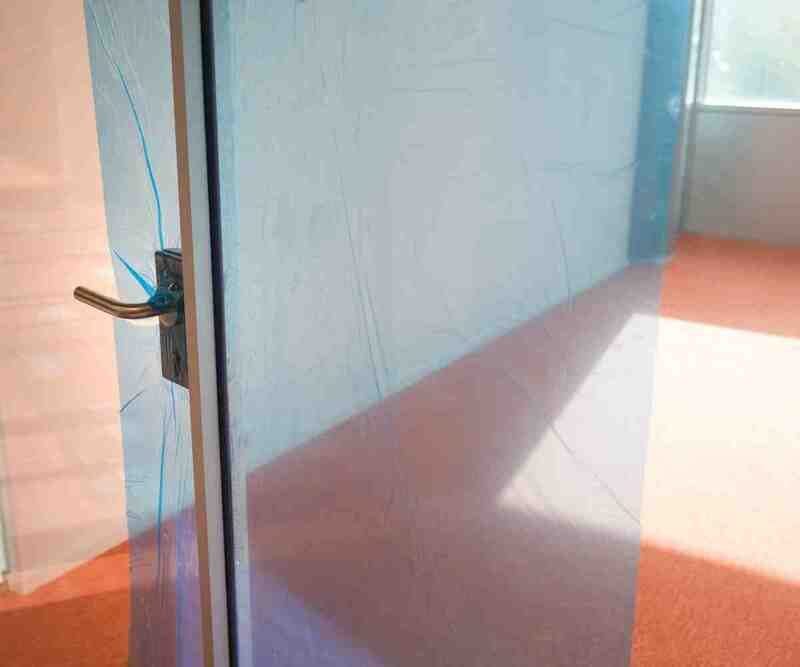 Glass Cover is a transparent UV-resistant film for temporary protection of smooth surfaces such as glass, doors and window frames against damage of all kinds. 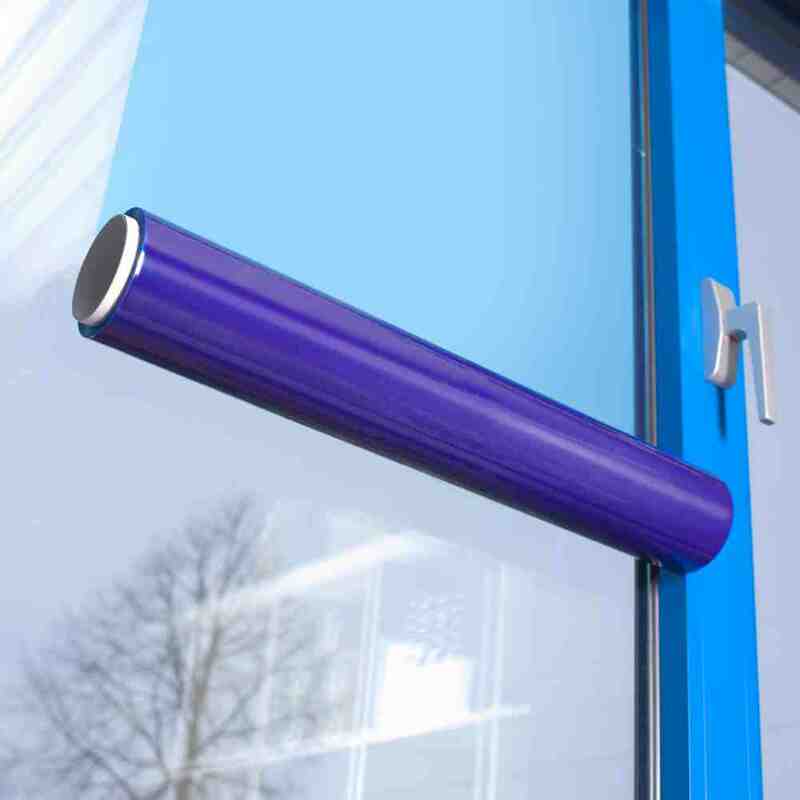 The UV3-film is UV-resistant; the self-adhesive layer will not harden or leave adhesive residue on the glass. 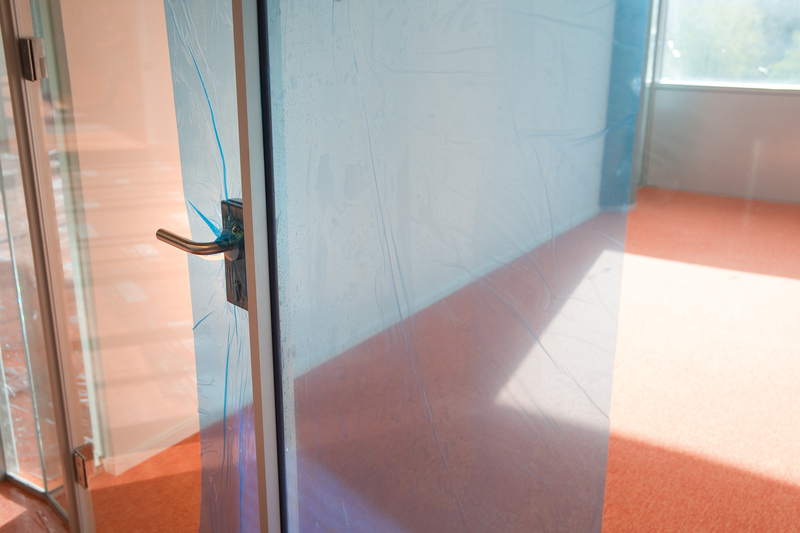 Glass Cover offers maximum protection during new construction, renovation and maintenance work such as building maintenance, plastering, sanding, bricklaying, demolition or painting. Only use Glass Cover on dry, clean and fully-cured surfaces. Ensure the upper side is applied tightly just below the frame. This promotes adhesion considerably. Then smooth out the film to avoid air bubbles. Glass Cover can be removed easily after use and can be discarded as a small package. Glass Cover is a strong but light material that is quick and easy to use. The self-adhesive layer does not come loose, even in rain and wind. The film is transparent and allows light to pass through. Thanks to the product features, Glass Cover protects against scratches, grout and other types of contamination.